Today’s reading is Matthew 4. As I mentioned in my previous writing 2 weeks ago, one of the big “ah-ha’s” for me as I became an adult was when it really hit me that Jesus was tempted, just like us and as we see in this writing, but was the only human to live without sin, yet died on the cross to take our place. As new small group members some years ago, there was a couple in our group who seemed to talk constantly about Satan and his temptations in their lives and the lives of others around them. They talked about it so much that it my wife and I found it awkward and thought they were really kind of out there. Not that we didn’t acknowledge Satan is real because if you acknowledge God is real you have to acknowledge Satan is real, but we just felt they were a little over the top about how much Satan interjects and they talked about it. However, as we have matured in our faith, we completely understand it now. A few weeks ago, I was in a restaurant speaking with a friend who is really struggling to believe God is real and is struggling with other things in his life. We had been talking for over an hour and although there was much activity in the restaurant he was locked in on me, keeping eye contact the entire time. As I began to make a very strong and direct witness to him to the point that you could feel the intensity building in the conversation and I began to tell him we all have a God-shaped hole in our hearts only He can fill, “BAM! !” a worker dropped a trash can right in the middle of my sentence and he lost all focus on what I was saying. A few years ago, I would have said that’s crazy and this was just coincidence, but I now believe that was Satan interjecting. You’ll hear similar stories during conversions from other believers and pastors if you ask them. I find it very interesting in Matthew 4:3 Satan is called “the tempter.” God did not have to use this terminology. This was very intentional. That’s what Satan does. He tempts. That’s who he is. 1 Peter 5:8 says, “Be sober-minded; be watchful. Your adversary the devil prowls around like a roaring lion, seeking someone to devour.” If he tried to tempt Jesus 3 times here in a short period of time, you can bet he’s going to be tempting us. In fact, it is my humble opinion that he tries to tempt those of outspoken faith and belief the most because that is a huge win for him if he gets us to sin, especially when others find out about it about it. It does a lot of damage when a pastor, elder, small group leader, or strong believer sins and it becomes known by many. He loves this. People expect a known and public repeat sinner to sin so that is not a big win to Satan when they sin again. How do we avoid falling into Satan’s traps and temptations? Acknowledge he’s real and tempting us daily..even by the hour and the minute. Stay in prayer and the Word. Expectancy theory says that which you think about expands. If you spend more time with God, you’ll stay close to and be thinking about Him keeping you insulated. Satan knows the Scriptures as we see her, but so did Jesus as we see here in Matthew 4:4, Matthew 4:7, and Matthew 4:10. Stay in close community with other believers through church and small group to keep you accountable (Ecclesiastes 4:9-12). 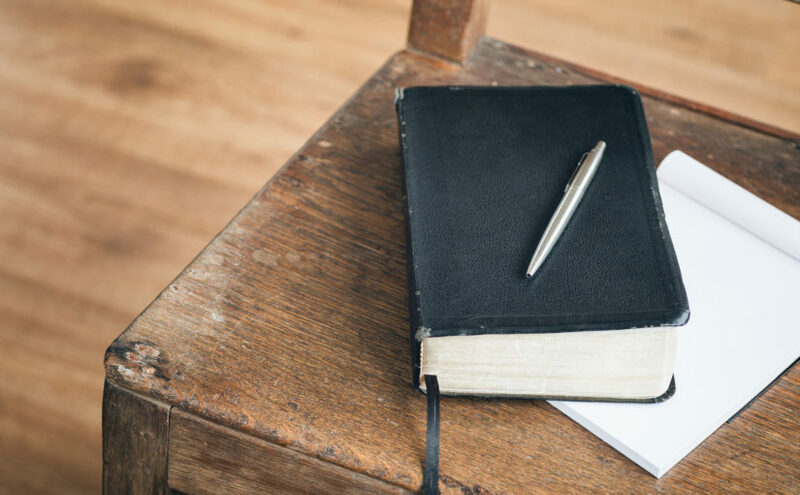 Consider reading The Resolution for Men and The Resolution for Women with other male or female believers…committing to the Resolution at the end. Stay humble and on watch…even as we mature in our faith. 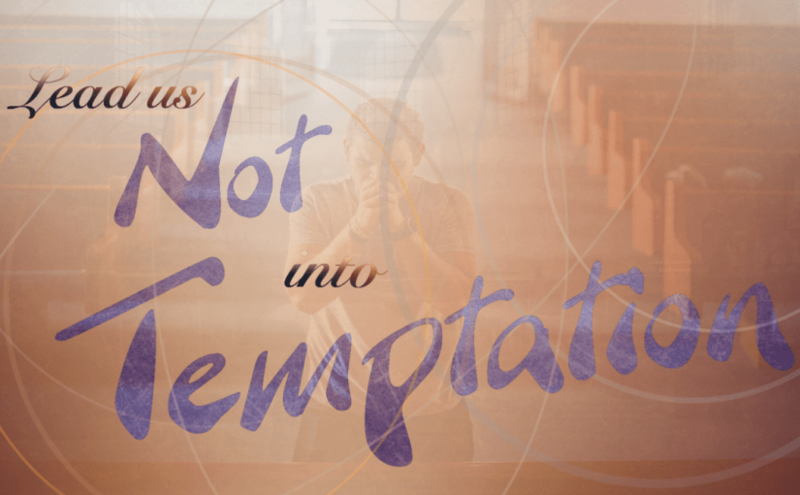 If he tried to tempt Jesus, he will tempt us! Even the Lord’s Prayer tells us to pray “Lead us not into temptation” in Matthew 6:13. 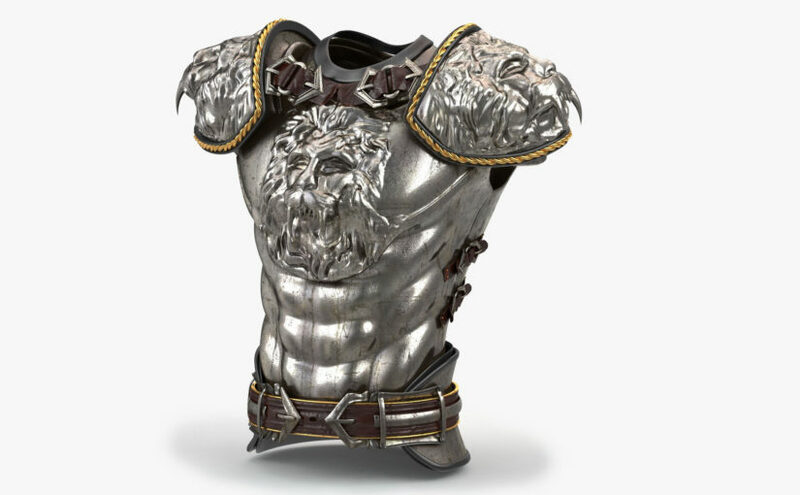 Let us put on the armor of God and answer the call today and everyday Timothy gives us in 1 Timothy 6:11-12. Take some time to write down the ways in which you are personally tempted in these three areas. Ask God to forgive you for the times you’ve given in to temptation. By making ourselves aware of how subtle temptations start us down the path of sin, we can begin to change. Today’s reading is John 19 and Psalm 121. John 19:7-8 reads, “The Jews answered him, ‘We have a law and according to that law he out to die because he has made himself the Son of God.’ When Pilate heard this statement, he was even more afraid.” Prior to this in John 19:6, Pilate said he found no guilt in Him, yet we know in John 19:16 he delivered Him to be crucified. Why was Pilate afraid, and why did He deliver him to be crucified, even though he found no guilt in Him? He could have been fearful of Jesus being who He said He was, but most likely he was afraid of a riot, and he did not want the word to get back to Caesar that he could not effectively govern his region. A riot during Passover would be even worse and the word surely would get back to him and may cost him his position. What can we learn from Jesus? Chapter 4 of Matthew has four subheads, titled “The Temptation of Jesus,” “Jesus Begins His Ministry,” “Jesus Calls the First Disciples,” and “Jesus Ministers to Great Crowds.” If we just look at those titles, we can see Jesus throughout this chapter in Matthew. 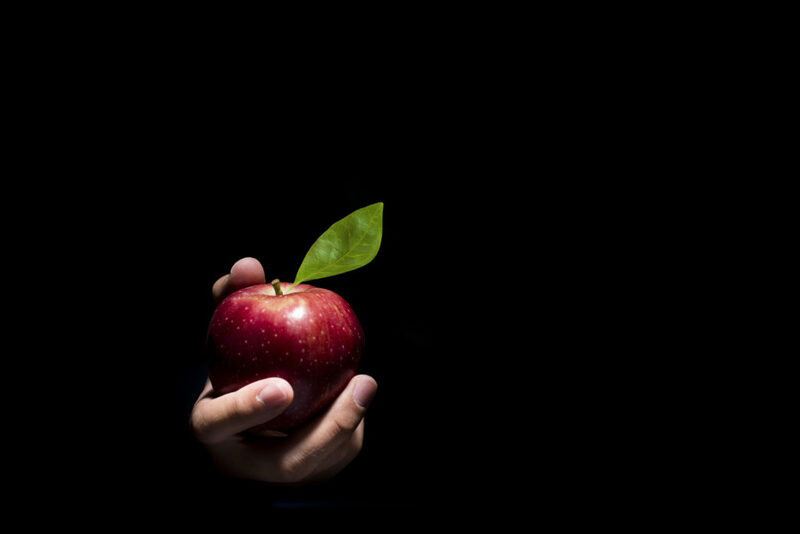 In this post I will be focusing of two things: how Jesus dealt with temptation and how Jesus began his ministry. Everyone has heard the story of how Jesus fasted for 40 days and 40 nights, then was tempted. I try to picture myself in those situations to make the Bible more real. I think of a time where I was so hungry I couldn’t think of anything else. I had just run a Tough Mudder. If you haven’t heard of one of it before, just imagine a 12 mile forrest, hill, and sand run filled with military style obstacles. After finishing that, I was exhausted and needed food more than I think I ever did. Luckily, McDonalds was only about 15 minutes away, so I was able to fill my belly with a large amount of fried food. Anyways, I’m sure you have your own stories also. So Jesus is in the wilderness, starving, only to visited by Satan to try to tempt him at his weakest points. Satan tries this three times before actually leaving, but each time he tries to tempt Jesus, Jesus speaks truth through Scripture. What does that tell us? When temptation hits, remember that you have power over that temptation with God’s word. None of us lack temptation. We are tempted on a daily basis, but the best question to ask yourself is how you handle temptation. Immediately they left their nets and followed him. 21 And going on from there he saw two other brothers, James the son of Zebedee and John his brother, in the boat with Zebedee their father, mending their nets, and he called them. 22 Immediately they left the boat and their father and followed him. I try to imagine Jesus coming up to me today at work and saying “follow me.” Would I truly stop what I was doing and go? To be totally honest, I would probably have a thousand things cross my mind first, from “What about my wife?” to “I have a great job here, and I love what I do, so why should I leave?” I think this passage helps us realize that Jesus will call us at some point. The only questions is, are we ready to take the call? There are a lot of things that tempt us in this world and make us think this is the best thing since sliced bread. But what we really need to do is remember that we are in this world and not of this world; our citizenship is in heaven, so we need to be ready to answer the call. Reflect on whether you would answer that call, cheerfully, today. In last week’s post, I briefly mentioned being thankful for the person who found and turned in Preston’s iPod. This was no small event; we were in a foreign country at a large resort where there were literally thousands of employees and thousands of guests from around the globe. Preston’s iPod isn’t extremely valuable financially, but it is worth a lot to him. He can’t afford to buy a replacement, and Amy and I would have needed to let him learn his lesson in being responsible. 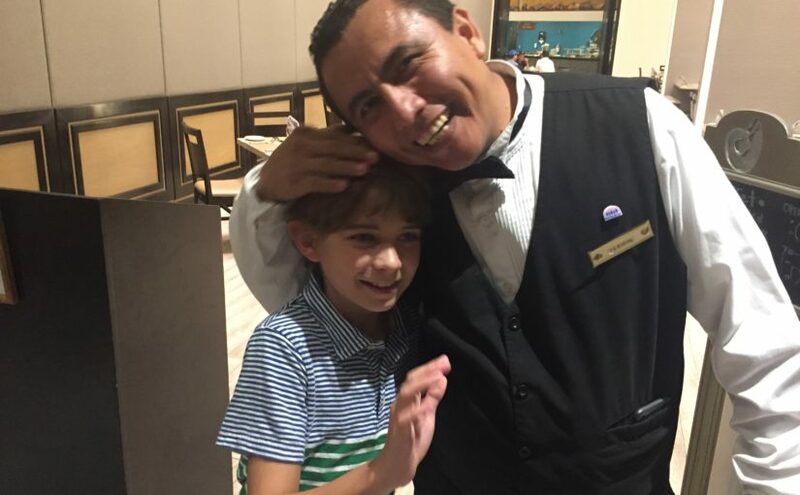 Preston gave his new hero (Fermin) a small token of his appreciation, a hug, and verbal thanks. Based on Luke 16 I wonder if perhaps Fermin was being tested with very little and reaped Heavenly rewards for his decision. Fermin was beaming with a huge smile when Preston found him to say thank you. I think that Fermin experienced as much, or more joy than Preston through this experience. Showing up late for work and not making up for it or logging the time inaccurately is stealing. Even if it was just 15 minutes and the employer may never find out, God knows. How we spend our money. If I look at my accounts, what do they reflect? Should I be entrusted with more or less money based on how I’ve allocated the resources entrusted to me? Time; our only non-renewable resource. What did I do in my free-time, and what does my calendar say about how I’m choosing to spend this precious gift? This section of Luke closes with a blunt statement in Luke 16:13 that should challenge us to our core. Do we serve God or do we serve money? The choice is ours to make, and only God knows our true intentions; he knows how we spend our time, money, and energy. Coming from a wonderful week of vacation with my family, I’m exceedingly thankful for the rest, relaxation, and special days and nights with my favorite people on Earth. In reflection, did I make the most of this time, and did I behave as one who loves money or one who loves God? Think about what Jesus was entrusted with. He came to Earth as a human baby, but with authority over Heaven and Earth. If I could turn water into wine like Jesus did, it is shameful what I’d do… God knows how much (or little) I can be entrusted with! 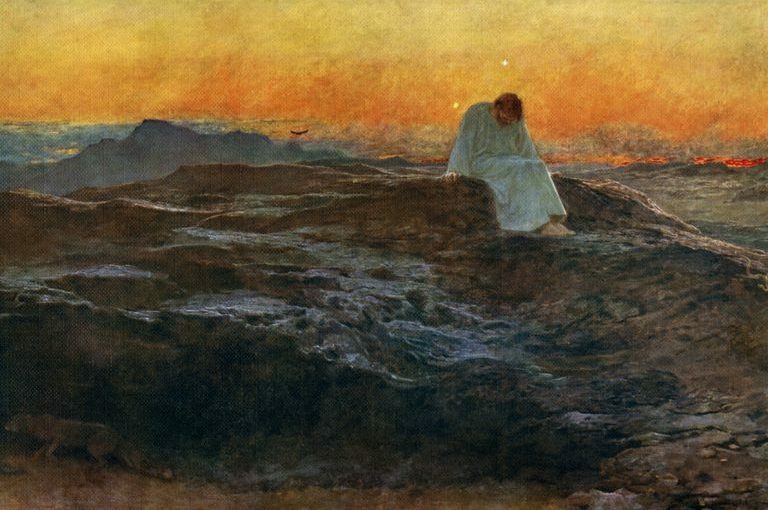 In Matthew 4:1-11 Jesus is tempted by the devil. This includes significant examples of how much Jesus was entrusted with. Also consider that since the devil was trying to temp Jesus, he knew Jesus had the power to do those things, which is further proof of the deity of Jesus Christ. Father God, may my checkbook, calendar, and heart be filled with more of you and less of me each day. Thank you for giving me such a multitude of second chances. Amen.